Bike Camp Route Favorites are safe, well-maintained asphalt paved trails. Among the popular daily bike routes is the Clark County Wetlands Trail. 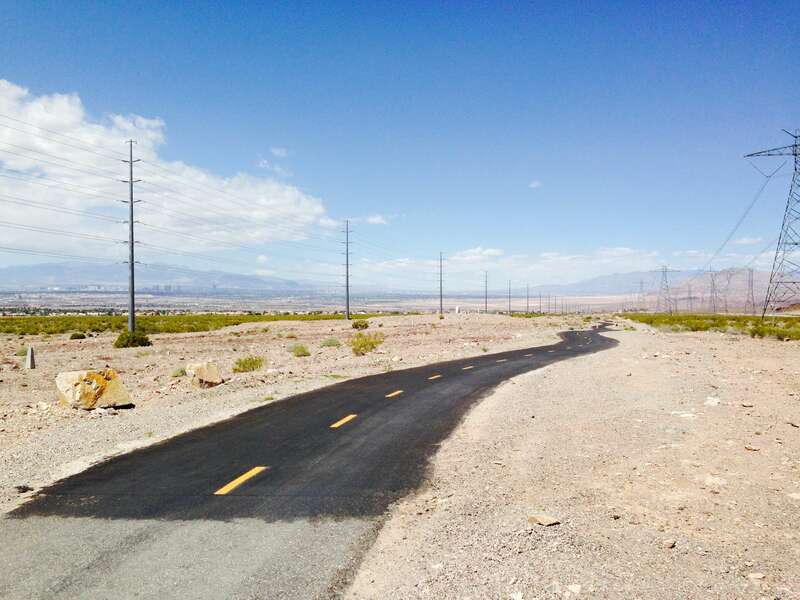 The morning bike routes allow plenty of conditioning rides such as the Wetlands trail from the Sunrise Trailhead to Lake Las Vegas. Bike camp cyclists with good endurance enjoy riding the RMLT-River Mountains Loop Trail CLOCKWISE from the Water treatment plant to Lake Mead Pkwy. Some riders are safer riding a trike. The adult tricycles are available for anyone who needs to build balance and confidence while getting fit. While some of the routes are good trails for fitness biking, others require a more intermediate skill level. The routes will not focus on highly technical challenges for the advanced cyclist. Competition cycling and road bikes are not included in the bike camp. If you want to start biking for the first time or just to regain fitness through cycling, get outside and discover the bike trail system. Orientation will begin with bike size, seat post adjustment and proper wearing of the bike helmet. Suggested attire is compression garments and padded bike shorts. Beginning rides will be done on single-speed beach cruisers to activate leg strength and cardiovascular conditioning. Riders progress to 26″ mountain bikes which are safer with better tire traction than road bikes. Proper use of hand brakes and gear shifting enables proper use of bicycle technique.